Aerohive’s Cloud Services operate with a 99.999% uptime, excluding scheduled maintenance windows. Aerohive’s Cloud Service Level Agreement (SLA) is available at: www.aerohive.com/wp-content/uploads/Aerohive_Cloud_Services_Platform_Upgrade_Policy.pdf. Aerohive’s software-defined, out-of-band management approach separates operational tasks (provisioning, reporting, monitoring etc.) from real time functions including client data forwarding, firewall enforcement, authentication, which are handled directly by Aerohive access points, switches, and routers. By decoupling management, data, and control planes, access networks receive increased efficiency, scale, and resiliency when compared to legacy systems that depend on network controllers. Aerohive captures and stores daily backups of customer configuration data and uploaded files such as floor plans. To ensure continued availability of customer network data and network services, Aerohive deploys our Regional Data Centers (RDC) and Global Data Center (GDC) across separate physical datacenters with cross-backup and failover capabilities. 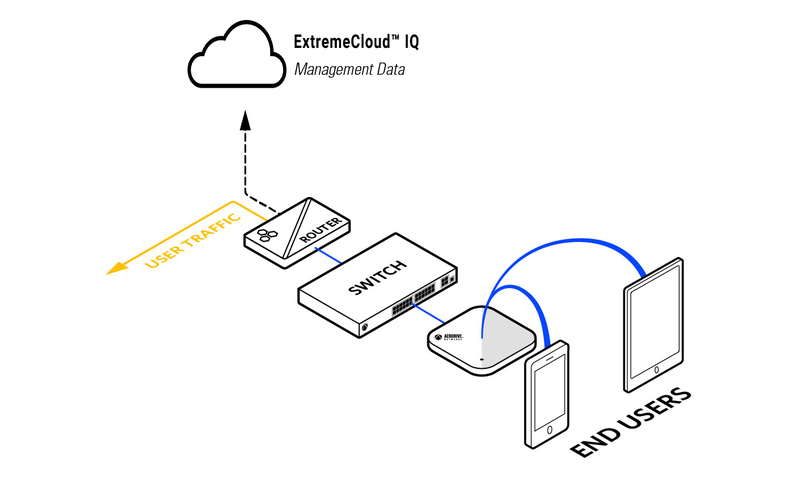 Aerohive employs a distributed availability monitoring system which includes both system level and application service level monitoring from multiple regions of our cloud infrastructure. Any system or application service failures will trigger an alert. For critical alerts, the monitoring system automatically notifies DevOps engineers on call. Aerohive’s DevOps team also performs complete system monitoring for our Cloud Services platform, including monitoring service levels, production capacity, usage, and trends. Performance snapshots are taken of running systems and will raise alarms if thresholds for the respective performance metrics are exceeded. The Aerohive DevOps Team operates 24×7, with additional staff on call as required for subsequent help.